MARTINSVILLE, Va. – At the end of last season, Raphaël Lessard wasn’t sure if he was going to have any opportunities to continue racing this year at a regional or national level. 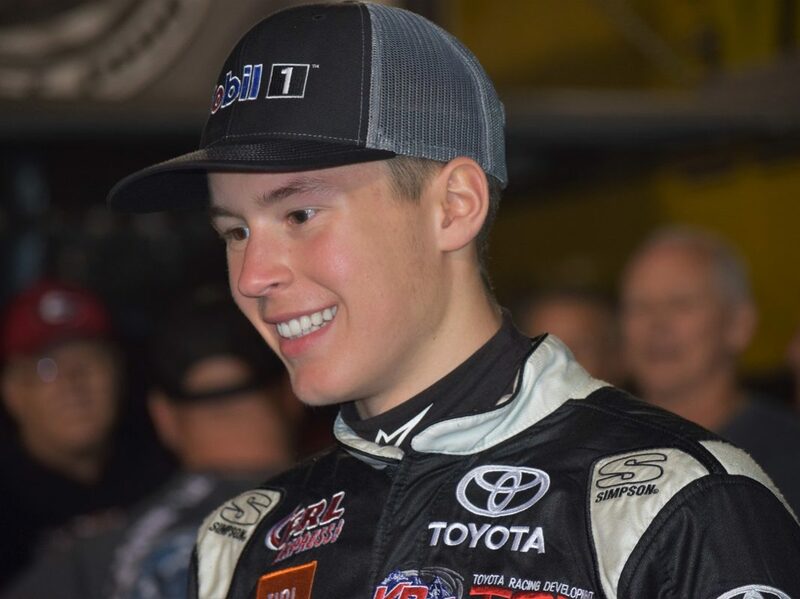 However, a belief in the Canadian teenager from his super late model team – Kyle Busch Motorsports – has provided a lifeline and a big stage for the 17-year-old Quebec native to showcase his skills. 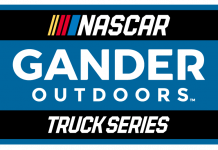 Lessard will make his NASCAR Gander Outdoors Truck Series debut this weekend with KBM at Martinsville (Va.) Speedway, with the TrüNorth Global 250 marking his first of three scheduled starts for the organization this year. It’s the first time that Lessard will compete at the national level, a chance that he’s both grateful for and hopes he can take full advantage of. “I wasn’t sure in January if I was going to race this year,” Lessard told SPEED SPORT at Atlanta (Ga.) Motor Speedway last month. “Now to have three truck races with Kyle Busch Motorsports is incredible. They’re the best team in the series, in my eyes, and I think it’s going to be a lot of fun. Going into a race weekend with a ride is a pleasant change for Lessard, who had no concrete plans all the way up through the end of January following a stint with KBM’s late model program last season. The No. 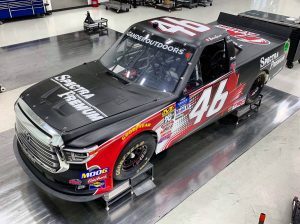 46 Spectra Premium Toyota Tundra that Raphaël Lessard will pilot this weekend at Martinsville Speedway. The good news about a return to KBM for Lessard is that he’s already comfortable with many of the team members he’ll be working with this year, even if some of the at-track personnel will be different. Michael Shelton, who led James Buescher to four victories and the Truck Series championship in 2012 at Turner Scott Motorsports, will be Lessard’s crew chief this weekend at Martinsville. 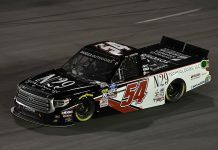 Lessard took in the Truck Series race at Atlanta, his first opportunity to experience a NASCAR national series weekend ahead of his own series debut. Since then, he’s spent plenty of time preparing. 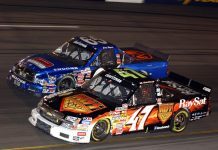 “I went to Atlanta a couple weeks ago to watch the Truck race and see what a truck weekend is all about,” Lessard said this week, ahead of the Martinsville event. “I think it went pretty well – Kyle won that race and I got to be in victory lane for the first time – and now I’ve prepared by watching video, specifically watching the race from last year. Beyond Martinsville, Lessard will also compete at Dover (Del.) Int’l Speedway in May and at Bristol (Tenn.) Motor Speedway in August for the No. 46 team. With nothing set in stone beyond that, he knows that the time is now to make a decisive impression. “These three races are very important,” Lessard said. “If I can go out and get a good result, right off the bat, that may bring some more races to the table. I just have to do my job and hope to get a little bit of luck as well, because the past few races we were super quick … but had nothing to show for it.